OPI's newest Holland collection is a welcomed transition into Spring. With bright orange tones to muted greens, this collection is full of fresh new colors to spice up your nail selection. There are 12 to choose from and quite a few have built in sparkle that enhance, instead of overpower. 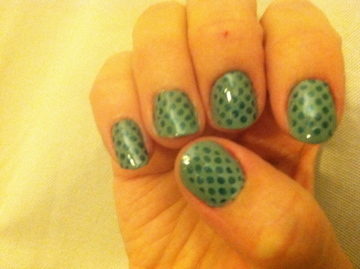 Ooh, I love the polka dots! I've wanted stamping tools for a while now, seeing this only makes them more tempting!